For many actors, the chance to play Mad Max would satiate their need to play an iconic antihero. 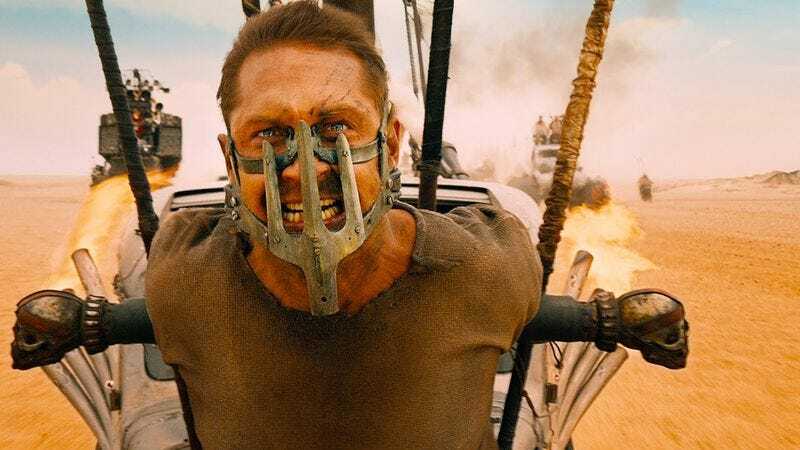 But Tom Hardy’s lust has merely been stoked by his tenure as Max Rockatansky, and he’s looking to add more notable names to his roster, denying other actors the opportunity to glower menacingly for an hour and forty minutes. Collider spoke with the actor recently, and Hardy announced that he would love a chance to play Marvel’s gun-toting vigilante Frank Castle, a.k.a. The Punisher. I want The Punisher… I want The Punisher, or Splinter Cell, I want something…I don’t know what I want. How much clearer can the man be? He wants to play The Punisher. Or maybe a guy from a video game who also shoots lots of people. One of those two things. But definitely a grimacing man with guns, a type of character that is incredibly rare in today’s film landscape. Of course, Hardy immediately follows this by laughing and suggesting that, at 5’9”, he’s too short to play The Punisher, but it’s obviously a feint meant to throw other actors off his pursuit of the role. And yes, he’s already developing Splinter Cell, but given his insatiable needs, it’s only a matter of time before all your gun-based roles belong to him.